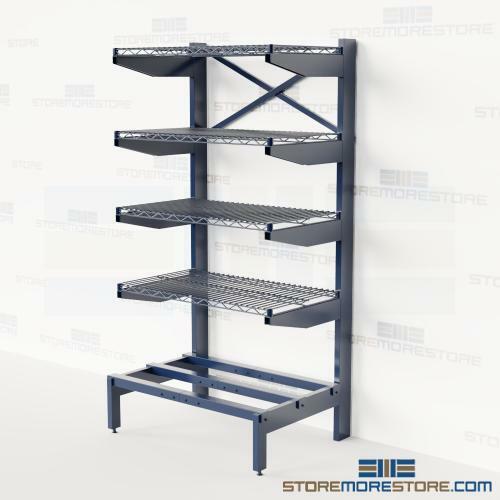 Cantilever racks are ideal for storing long and bulky items in heavy-duty and industrial applications. 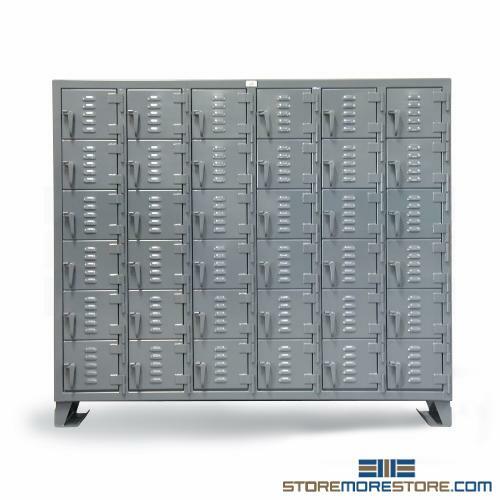 With a durable steel construction, its adjustable arms are inclined 20 degrees to securely store items without the risk of damage. After all, heavy items rolling off your shelves and onto the floor or people is probably one of the last things you want. Why cantilever racks? 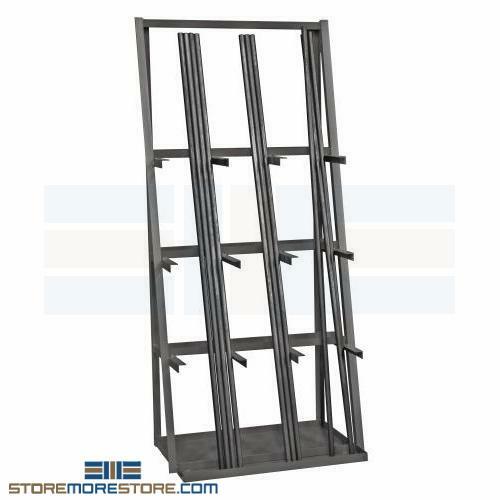 Because they store a wide range of items in many lengths and proportions securely and in less space than other types of racks. Without the restriction of front columns, cantilever racks provide full access to stored contents while maximizing your available space. This also makes it easy for employees to access the item they need, and access it in a safe and ergonomic manner. Additionally, the cantilever racks are suitable for use in freezers and coolers, and are certified by the National Sanitation Foundation (NSF) for food handling and storage. Cantilever racks are available to buy online and ship in 3-6 business days with free dock-to-dock shipping. If you need any assistance or just want some help picking the right solution for you, please call us at 1-855-786-7667. When you work in an industrial area, there are multiple factors that pose risks to equipment and employees. 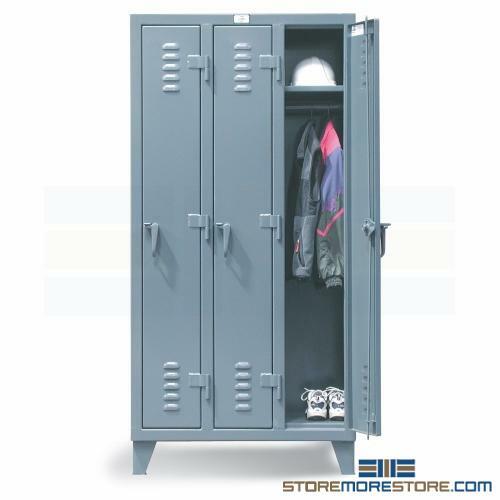 Store hazardous materials and liquids in flammable storage safety cabinets. 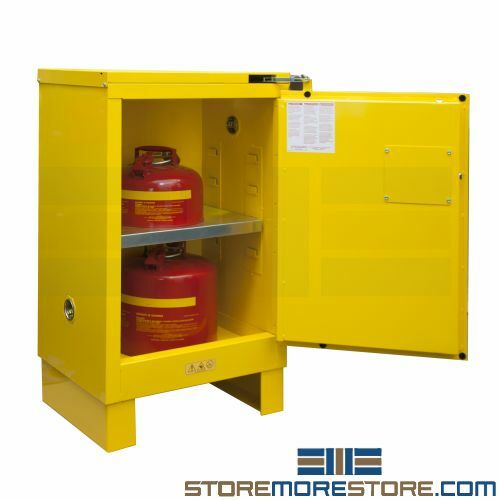 Designed to meet fire code and safety regulations, the flammable storage cabinets keep chemicals, paints, and other corrosive substances stored safely. Its double-walled steel construction features 1 ½” of insulating air space as well as air vents on each side. By storing hazardous materials in these cabinets, you can also provide more storage in less space for control areas. This also keeps these materials at the point of use, improving efficiency by allowing fast retrieval. Additionally, this ensures that your flammable materials are always stored securely. Also, the cabinets are available in multiple sizes depending on your needs. A three-point lockable latching system also keeps materials safe with optional self-closing doors. Leakproof sump bases also keep chemicals contained within the cabinet in the event of a spill. Lastly, its safety yellow finish and large red label ensure the cabinet is always quickly identifiable. 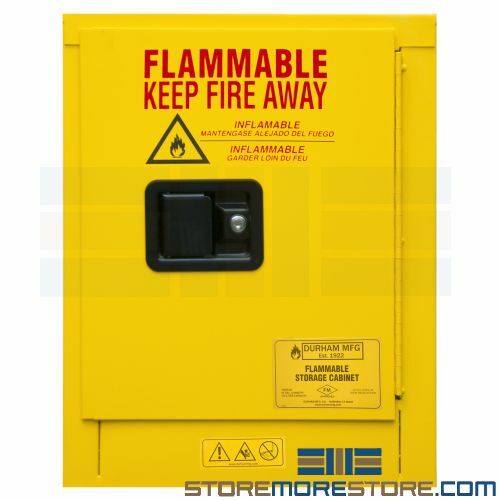 Flammable storage cabinets are available to buy online with free dock-to-dock shipping included. If you need any assistance or just want some help picking the right solution for you, please call us at 1-855-786-7667. Manually hand wrapping pallets is not only a time-consuming task but can also lead to inconsistent wrapping that is prone to damage. And it’s no wonder why—wrapping pallets by hand in the exact same way every time is impossible, not including the human factors of fatigue and limited physical exertion. 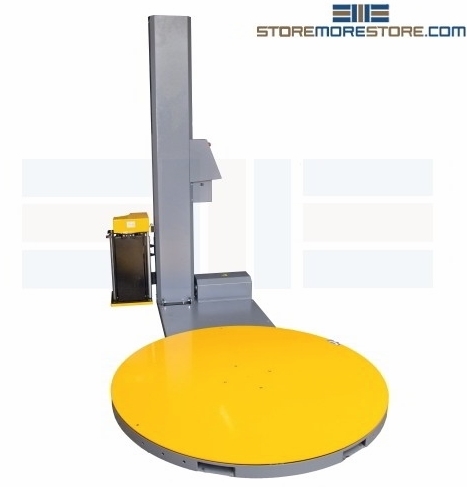 Automatic pallet stretch wrap machines allow you to automate this task for safer, faster, and more efficient pallet wrapping while you can delegate your workforce to other important tasks. The pallet wrapping machines are easy to use; operators don’t even need to leave their forklift. After loading a pallet, simply push a button and the machine automatically wraps the pallet with film or shrink wrap. The machine’s programmable cycles ensure that the pallet wrapping process is done the same way every time. 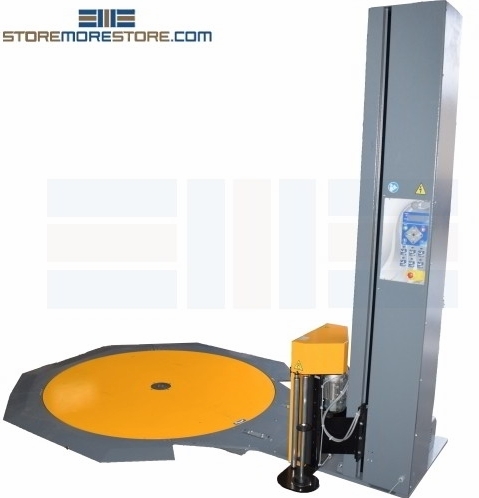 In addition, the machines allow you to get the most out of your shrink wrap by stretching it as much as possible. For maximum usability, the machines are also available with low-profile options that don’t require a ramp. Automatic pallet stretch wrap machines are available to buy online and ship within 4-5 business days with free dock-to-dock shipping included. If you need any assistance or just want some help picking the right solution for you, please call us at 1-855-786-7667. 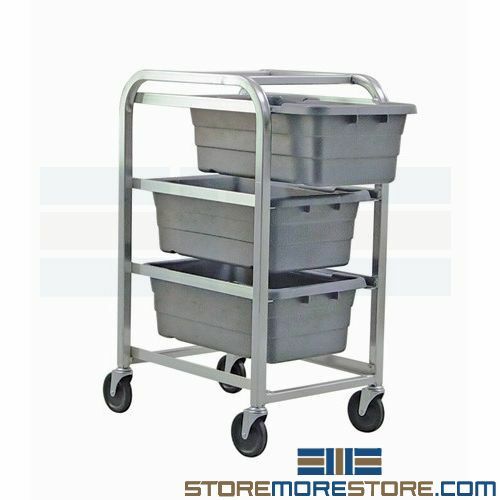 Instead of carrying around heavy materials, the bulk stacking bin transport carts make storage and transportation fast and easy. With its integrated bin system, each perfectly-sized bin takes up the least amount of space with the greatest amount of storage capacity possible. 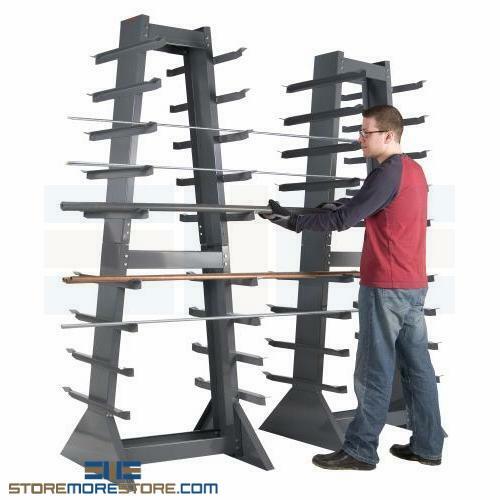 Their durable space-saving design makes them ideal for use as mobile picking stations. This way, users don’t need to travel back and forth transporting and carrying parts. Instead, users easily transport multiple items at a time to their stations. This not only maximizes productivity and efficiency but also improves safety and ergonomics. Since the carts will store a variety of bulky materials, users won’t need to strain their backs from carrying these items across the building. 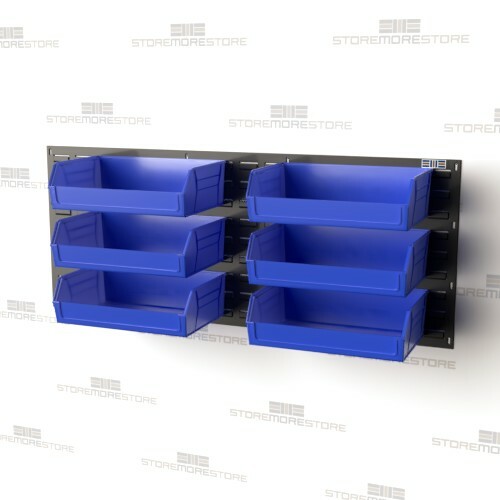 Bulk stacking bins are made from injection-molded polypropylene that resists extreme cold and withstands autoclavable temperatures up to 250°F. Its design and materials are also waterproof and corrosion-free. 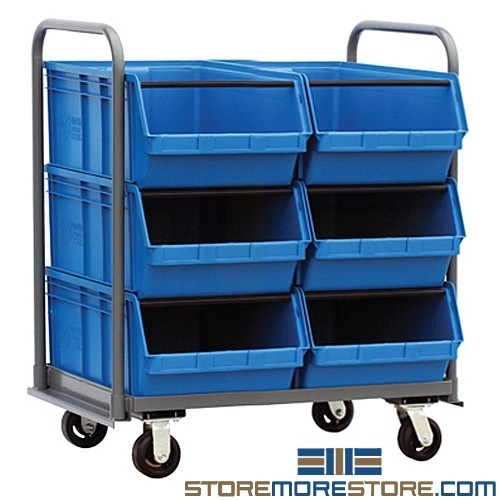 Side grips provide easy handling, allowing users to easily slide the bins off and onto the cart. 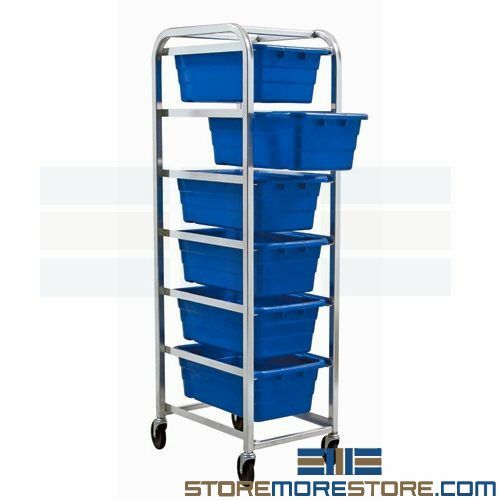 Bulk stacking bin transport carts are available to buy online and ship within 10-15 business days with free dock-to-dock shipping included. If you need any assistance or just want some help picking the right solution for you, please call us at 1-855-786-7667. 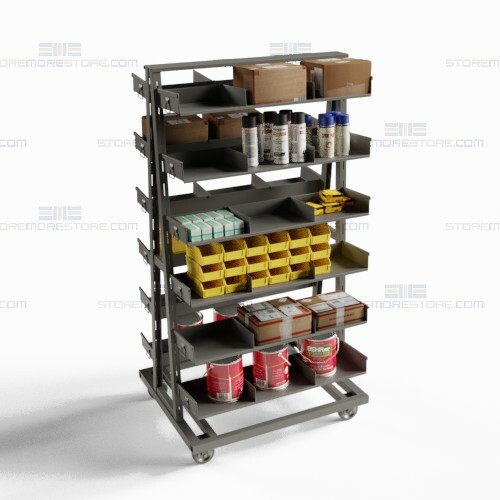 With their durable all-welded construction, the removable shelf and bin tray carts allow for easy and fast parts transport and distribution. Since the carts hold up to 2,000 lbs, they are ideal for a variety of applications. Store anything from small parts to heavy and bulky items. 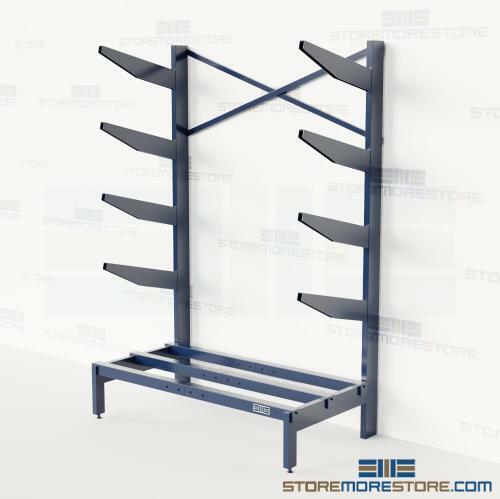 Choose from multiple cart sizes with up to 7 levels of shelf storage. You can also choose between single and double-sided carts depending on your needs. 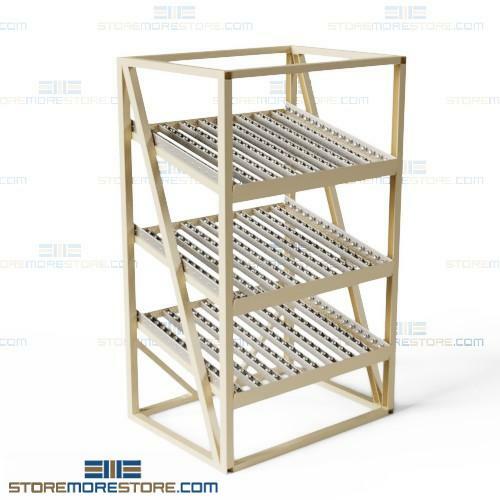 For easy removal, each shelf tray comes with handles on each side so users can simply slide them out of the cart. 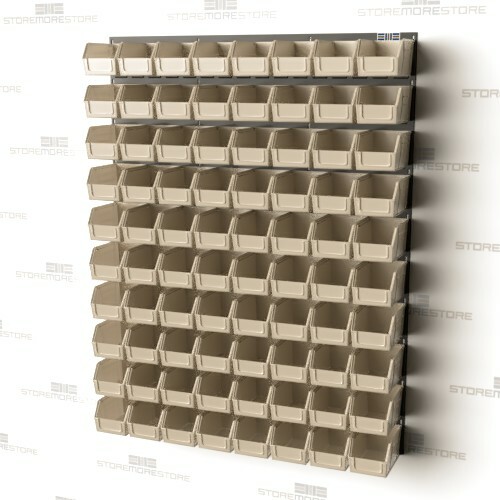 This makes them great for parts distribution since users can retrieve entire trays instead of having to carry individual items back and forth. 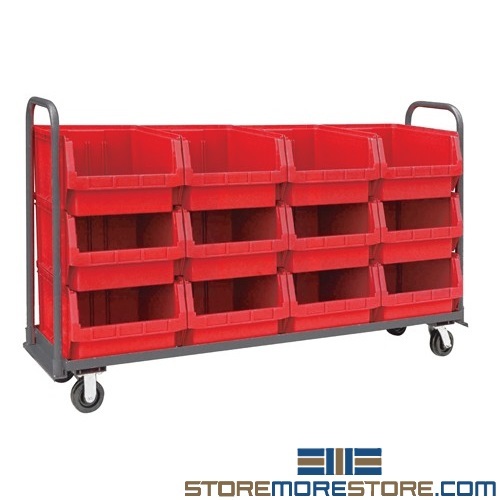 The carts are also available with additional tray dividers to add another level of organization for small and medium items. 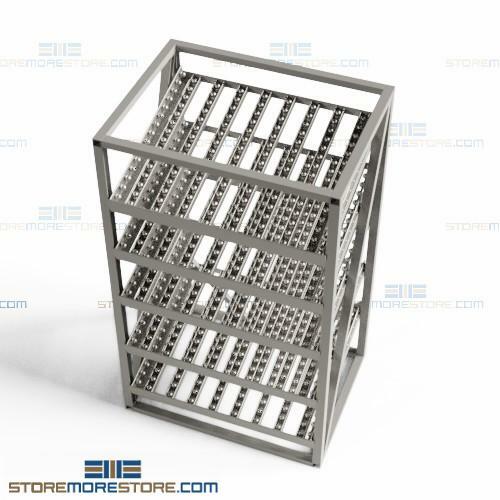 Additionally, you can choose from open shelves or closed bin trays depending on what you store. 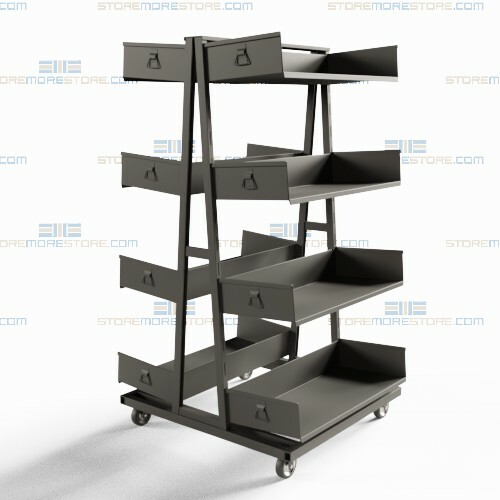 Removable shelf bin tray carts are available to buy online and ship within 5-10 business days with free dock-to-dock shipping included. If you need any assistance or just want some help picking the right solution for you, please call us at 1-855-786-7667.